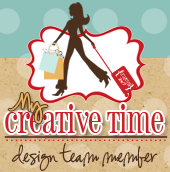 Welcome to another fun filled Throwback Thursday Challenge at My Creative Time! Today's challenge was to use the color combo below as inspiration and any old Cricut Cartridge. 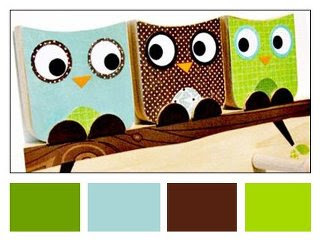 When I saw these colors, I thought of the October Afternoon paper line!! I love these colors!! I used the Fun Pockets Stamp Set to create this cute layout of my daughter. How perfect were these stamps with the layout!!! CUTE!! I forgot how much fun it was to play with my Imagine!! My poor baby was collecting dust! I love how clean and simple this layout it. Sometimes we have to remember why we are doing this. We want to preserve out family memories. (thats my reason) Don't forget to link up your project to Mr Linky! Thank you for stopping by! Big Crafty Hugs!! Nancy ~ First your daughter is just BEAUTIFUL! I still think she is a mini YOU! Again ~ you so inspire me with your layouts! I LOVE how you used the Imagine, cough, cough, dusting mine off too! LOVE how you used the tag ides~ ALWAYS a pleasure seeing your creations! You did a very nice job on your layout and color challenge! Great layout! Love the layout of all the different elements! terrific layout nancy, love all the elements you used!! !